The inspiration for Life with Siamese Cats came from my seal point Siamese, Bandit, a rescue cat who came from Siamese Rescue in the UK, where I live. Bandit was a stray, found after letting himself into someone's house through their cat flap, eating their cat's food, and taking a nap behind their sofa! After a few diversions, he found his way to Siamese Rescue, and lived in the cattery there for three months before coming to us. Because of this, we don't know much about his original background, but he'd obviously had a family life at some stage as he's a friendly cat who quickly adapted to his new life, unlike some rescue cats who can take months to settle in. He soon had me, my husband, and nearly everyone living in the houses around us - which he visits regularly - wrapped around his seal point paws. He's a born explorer. Which is ... not always a good thing. But not in the winter. In the winter, he mostly does this. My Dad's job took our family overseas for much of my young life. 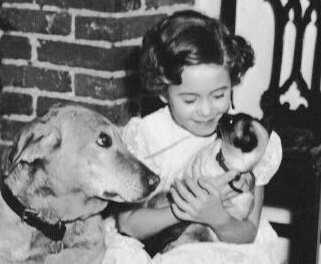 One of my earliest memories (aged about three, I think) is of a cat called Sisal, another seal point, who lived with us in East Africa. We inherited Sisal from the people who'd lived in the house before us. He used to love hunting down and playing with the snakes that lived in the rocks in the garden. Siamese cats are very intelligent, but not always that smart! How he didn't get bitten, I'll never know, but luckily for him he always managed to keep one step ahead of those snakes. My aunt looked after me from time to time when I was a child. 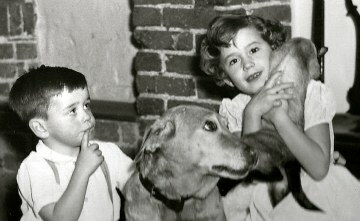 I'll always remember her with a Siamese cat nearby, trotting at her heels or snoozing - either on her lap or by the fire. I really loved those cats! Growing up, I so wanted one of my own. picture was taken at the bottom of the page! Some years ago now, when I first started thinking about adopting a cat, I talked to cat-owning friends about cat care and everything seemed quite straightforward. But when Bandit arrived the questions just kept coming. "How do I .. what is .. why does .. where can I .. should I .. how much .."
It also dawned on me that although I loved everything about Siamese cats, I didn't, in fact, actually know a whole lot about them. I was a cat-lover, not a show judge or a breeder. Not an expert, in other words. And how to look after cats in the best possible way to keep them fit and healthy. So I started reading. 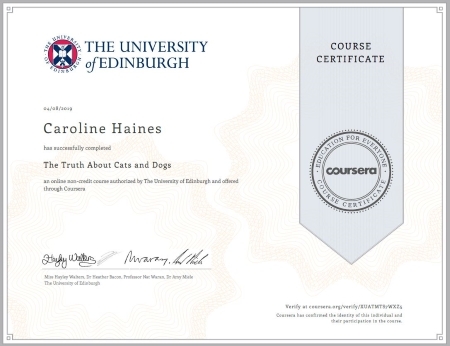 And asking questions, and even doing some animal welfare and behavior courses to find out more. And then it came to me that if I wanted answers, other people might, too. The pages of this site grew out of that thought. I've learned so much, and the site's getting bigger! 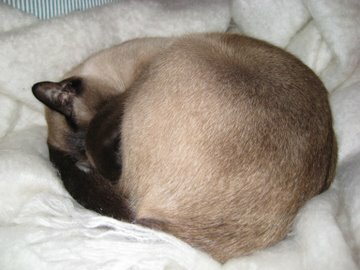 Over the years this site has grown a lot, and now has over 200 pages - a mixture of information and tips (written by me) and photos and stories shared by other Siamese owners about their own cats. And it's still growing. We're always adding new bits and pieces. I hope you have fun browsing through everything here, and even more fun with the cats in your own life. Do pop back and visit us again soon! ... here's that picture I promised you earlier.